The person leading the company’s commercialization efforts in the US said the goal is to keep the price of the drug on par with other epilepsy medications. On a call with investors this week, British-based GW Pharmaceuticals, who makes the drug, said it would cost roughly $US32,500 per year. The medication does not contain THC, the well-known psychoactive component of marijuana responsible for the drug’s characteristic high. Julian Gangolli, who leads GW’s commercialization efforts in the US, said the price point would keep Epidiolex in line with other epilepsy drugs and was largely based on feedback from insurance companies. The figure is on the lower end of what analysts projected the drug would cost back in 2016, when they estimated it would range from between $US30,000 to $US60,000 per year. Gangolli also said that he expected the wait time to receive the medication – after patients get a prescription from a clinician – to be three weeks, on average. But before any prescriptions for Epidiolex can be written, the Drug Enforcement Administration must reschedule its active ingredient, the marijuana compound CBD. Currently, CBD is scheduled alongside marijuana as a schedule 1 drug with “no currently accepted medical use.” Beginning on June 25 when Epidiolex was approved, the agency had 90 days to reschedule or reclassify it as a schedule 2, 3, 4, or 5 substance. 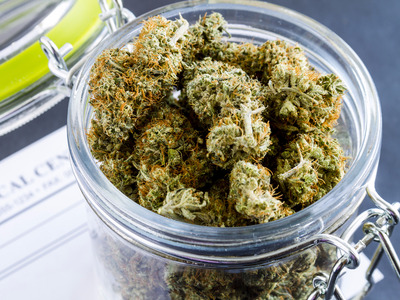 Epidiolex’s approval in June came on the heels of several months of promising research results and a positive preliminary vote from the Food and Drug Administration this spring. Experts are hopeful that the approval will unleash a wave of new interest in the potential medical applications of CBD and other marijuana compounds. “This is clearly a breakthrough drug for an awful disease,”John Mendelson, a panel member and senior scientist at the Friends Research Institute, said at a public FDA meeting this spring that was called to discuss the scientific merits of the drug. But although the green light means that patients will soon be able to access Epidiolex with a doctor’s prescription, many will also likely turn to less expensive sources of CBD, such as those sold in marijuana dispensaries. Researchers and advocates caution against this, however, with the caveat that it’s impossible to verify that what’s in those products is actually pharmaceutical-grade CBD. “The cost of a co-pay [for Epidiolex] is significantly – or could be significantly – less onerous and burdensome than the cost of the product either over the internet or from dispensary,” Gangolli said.